I had ordered Shine's Spec-RE Pro diffuser a while ago and recently got around to installing it. I found that there were a lot of pictures of installed diffusers, with very little guidance on how to install. I knew the install wasn't exactly rocket surgery, but some guidance wouldn't have hurt. I hope this photo guide helps. Please add your own pointers. I would recommend installing this with someone else. Lining it up, measuring, and cutting was a lot easier with another set of hands. Tackling this by yourself can be done, but I'd imagine it's much trickier. Thanks for the help Mark! Last edited by ZumSpeedRX-7; 08-17-17 at 03:46 PM. 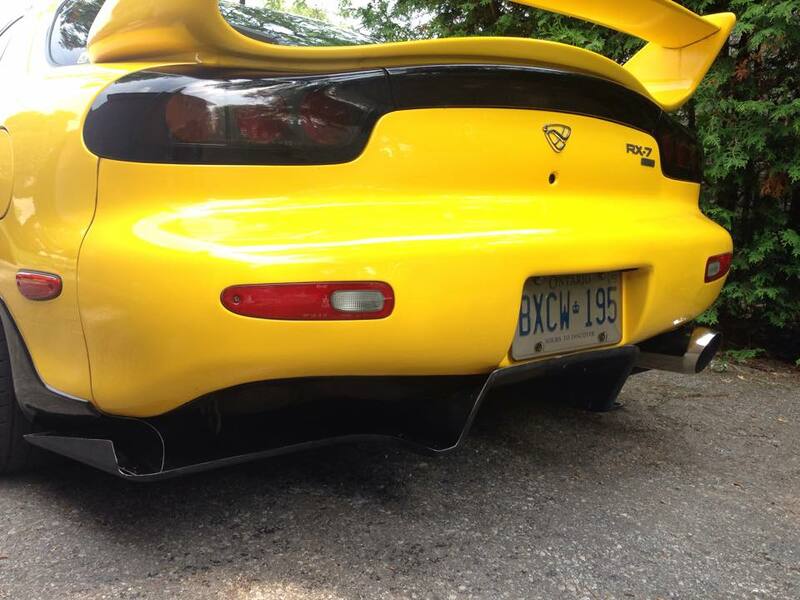 I have seen installs where the factory rear lower spoiler has been fully removed or trimmed around the rear diffuser. I don't like the complete view of the gas tank, so I chose to trim the lower spoiler around the rear diffuser. Last edited by ZumSpeedRX-7; 08-17-17 at 03:49 PM. Last edited by ZumSpeedRX-7; 08-17-17 at 03:50 PM. 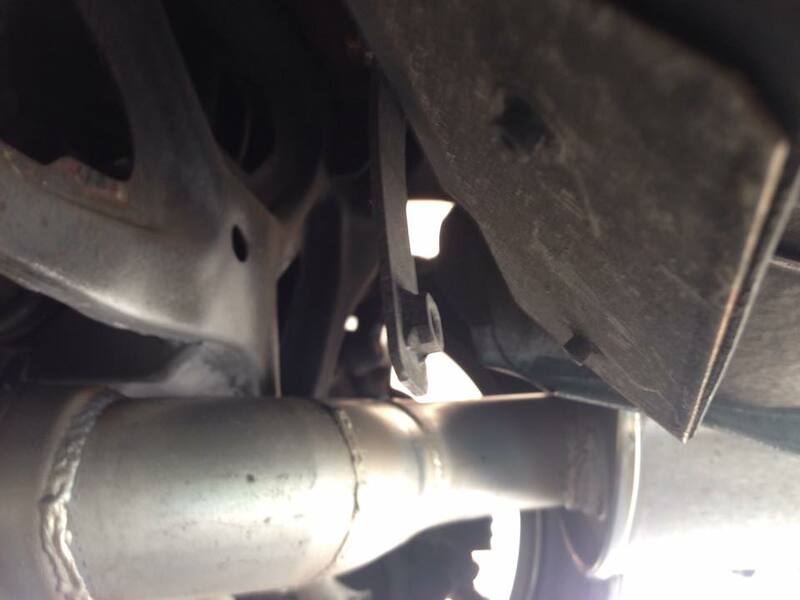 My HKS Carbon Ti hangs pretty low, so trimming around the exhaust was needed to bolt the diffuser in place. Last edited by ZumSpeedRX-7; 08-17-17 at 03:51 PM. Last edited by ZumSpeedRX-7; 08-17-17 at 03:52 PM. Last edited by ZumSpeedRX-7; 08-17-17 at 03:53 PM. Bolt the front of the diffuser to the gas tank brackets - see post above. Last edited by ZumSpeedRX-7; 08-17-17 at 03:54 PM. Get the plate back on and enjoy! After the maiden voyage, we found that the diffuser is too low in the front. Additional adjustments will be needed. I hope that helped. Please let me know if you have any questions or tips for a better install. Last edited by ZumSpeedRX-7; 08-17-17 at 03:55 PM. Nice write up, I did a few things differently. 1. I used the existing holes in the rear quarter panel that is used to mount the OEM mudguards and installed riv-nuts in it. This allowed me to not have to drill additional holes into my rear fender. 2. 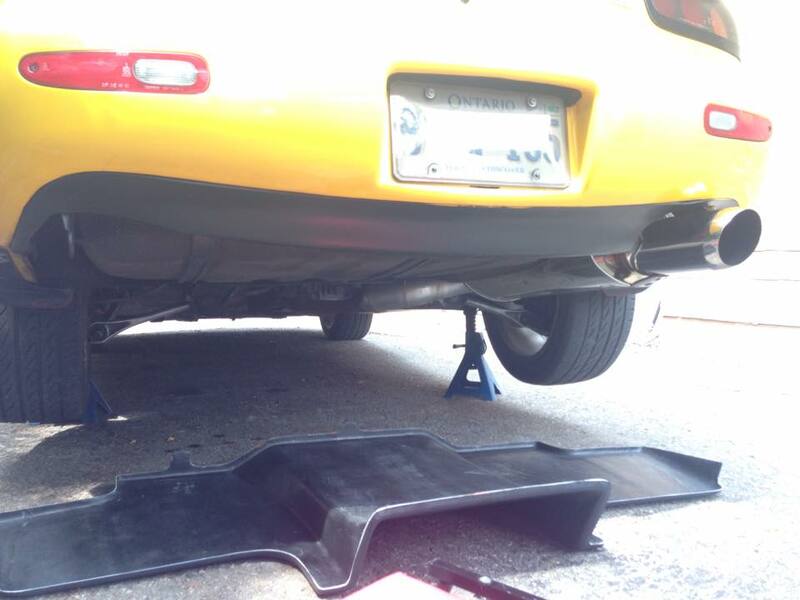 I used riv-nuts to secure the diffuser to the riser that mount to the rear fender. 3. I used theorie's idea and made 2 brackets that mount to the licence plate bolts and extend down to the rear of the diffuser to mount it. I bent an angle at the bottom of the bracket so the bolts would be simmilarly placed where you have them. 4. I also shortened the front mounts as the diffuser is definitely too low (as you found out). 5. Used riv-nuts to mount the center air diverter. What lens and camera did you take these photos with? For reference, here is theorie's bracket from this post. Really cool idea. I used my wife's Canon 5D MKII with a 16-35mm lens. I got a full run down on how to actually use it this past weekend in the White Mountains, too late to save some of the pictures in this thread. nice write up and good pics thanks OP. Do you need to trim the rear bumper in the center to fit it? 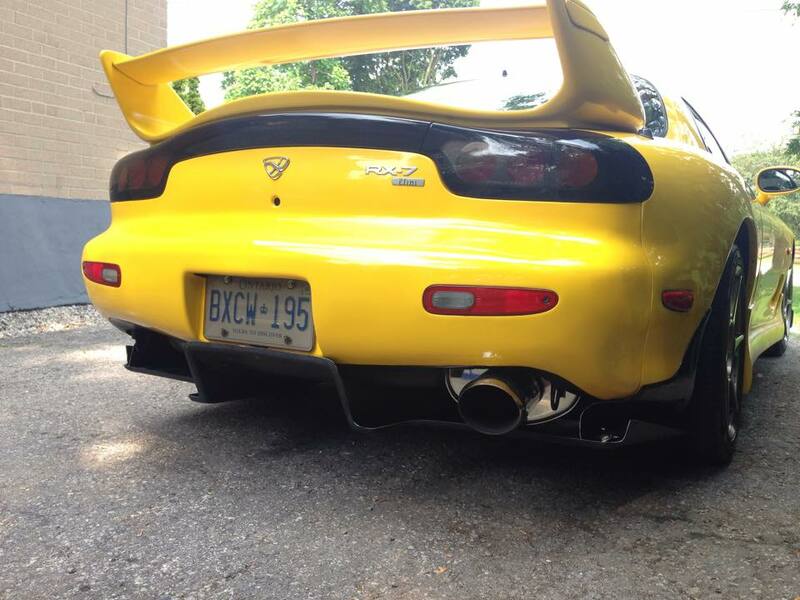 I'm running the same exhaust in mine and only had to trim the lip on the diffuser to clear the exhaust. My wife's a wedding photographer. It's getting a lot more fun and easier as I'm getting used to the equipment. What kind of photography are you into? You don't need to trim the rear bumper for fitment. Good to know. Definitely line the diffuser up and check clearance before trimming anything. Awesome writeup; and very easy to follow!!! Great write up ..Gonna install mine tommo.will post pics before and after. So I did my install and it was fun. As you can see I did not cut my rear valance and also used my stock mud flaps.I used the same holes on the mud flaps to bolt the side pieces. What made my job super fun was there were brackets already installed by Japanese owner for a diffuser.Feel free to send me a PM with questions. Great DIY write up thanks! i had no clue how to put the add ons on this helps! 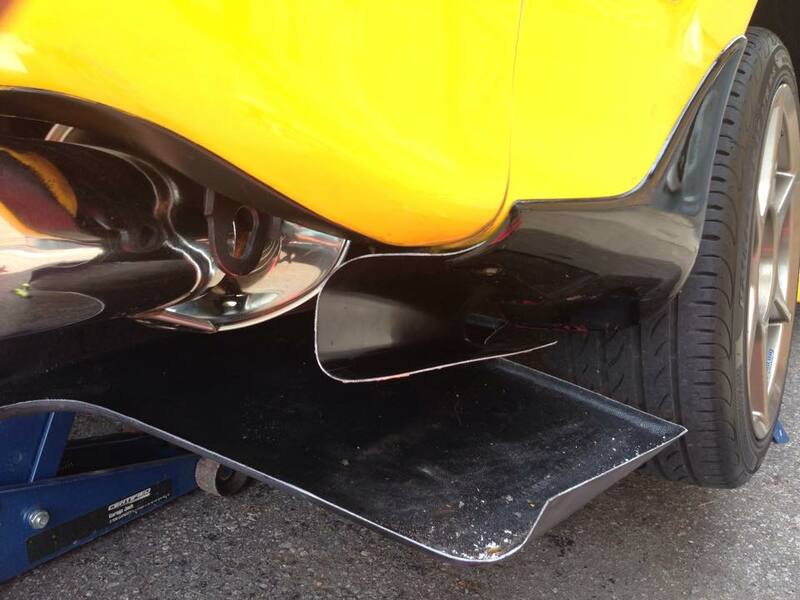 Since you track your car, did you notice a difference with this diffuser installed? Glad to see this thread is helping the community! bump for photos? Seems the photos disappeared. Got the jist of it, just need to clarify! Thanks!